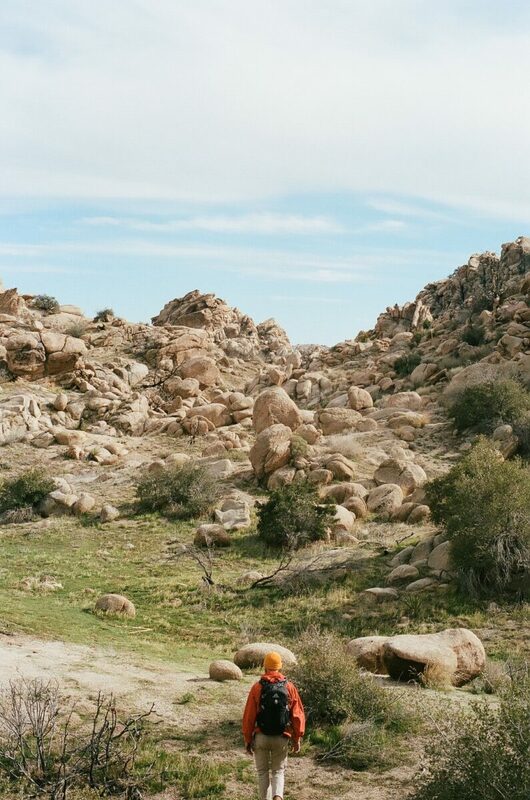 We brought you The Ultimate Road Trip Guide to Joshua Tree Part I, where we explored the dreamy, insider destinations throughout this quaint town. 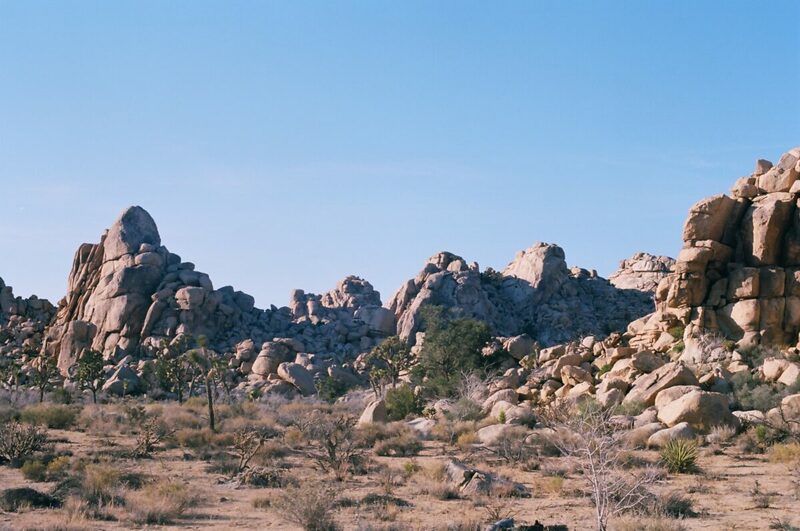 Today we’re bringing you Part II, which focuses on the secret gems of Joshua Tree National Park and everything you need to know while exploring this beautiful, and recently re-opened national treasure. Check out hiking trails, attractions and campsites below! These campgrounds are designed for larger RVs. 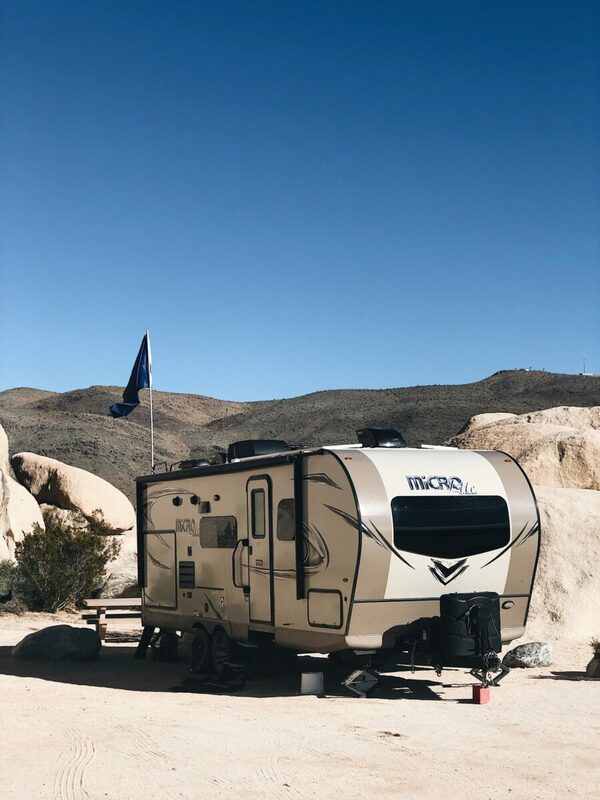 With ample space and sites, you’ll be able to enjoy Joshua Tree National Park in the luxury of your own home year round. Pro Tip: Reservations are required for campgrounds during the busy season, which runs October to May. This gem, located on the southern edge of the Wonderland of Rocks is a very popular site, and with good reason… it’s open year-round! It’s also home to its namesake trail, a one-mile loop that circles a small valley surrounded by tall boulders. The trail shows off the parks iconic Joshua Trees and is a great hike for exploring the parks plant and wildlife. 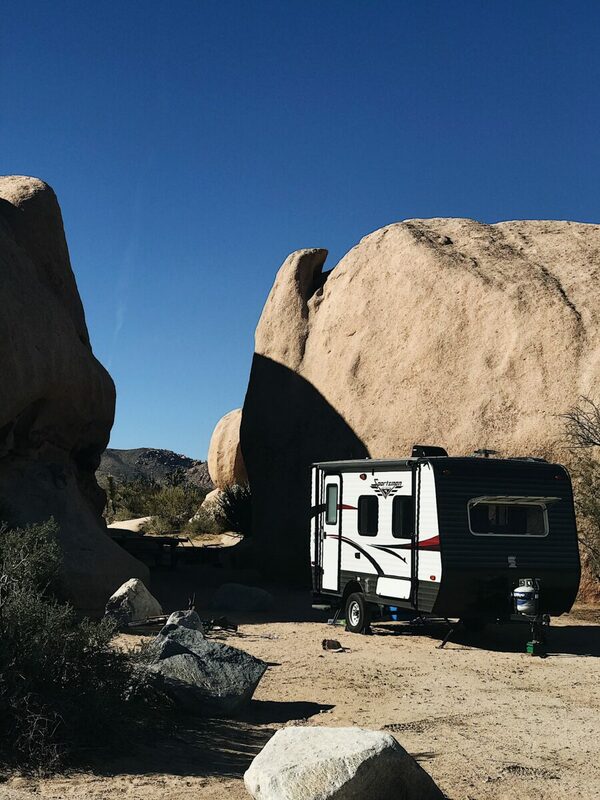 Though this campground is located further from the majority of the parks main attractions, it is close to Twentynine Palms Highway, making it a great campground for those who want to explore the towns that sit right outside of the park. 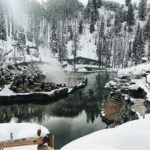 This sprawling site is the second-largest of all the campsites in the national park and is enclosed by billowing rock formations, making it a go-to campsite for RVers. This one way trail goes deep into the Wonderland of Rocks. Most hikers prefer to start at the south trailhead and finish at Indian Cove. Bring water, sunscreen and provisions for this hike that is not for the faint of heart. This trail is an easy loop with minimal elevation gain. The standing water along the trail brings a unique set of fresh water species to this particular hike. Wind through boulders, woodlands, desert willow riparian corridors and basins on this beautiful hike. These campsites from the north to south entrance of Joshua Tree are ideal for smaller RV’s and those who want to boondock. Pro Tip: These campsites are highly coveted so come early in the morning to claim your site or make reservations far in advance. 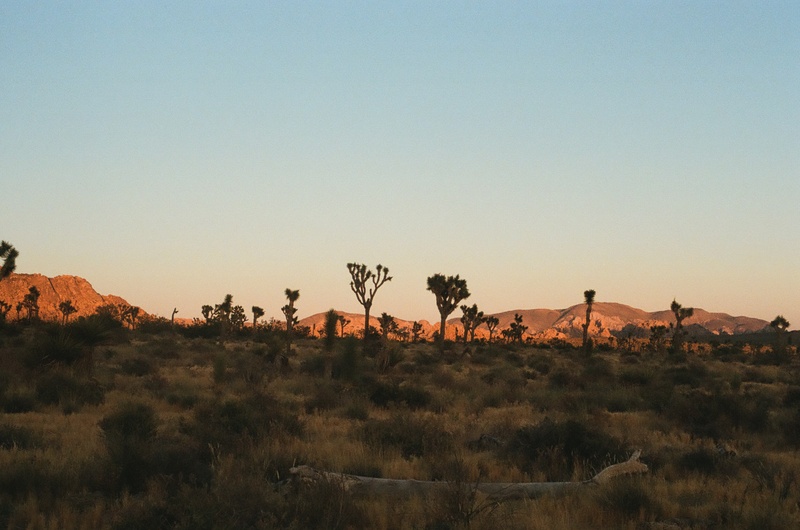 Welcome to the largest campground in Joshua Tree National Park. It’s also a real paradise for rock climbers and is named the most family-friendly site in all of Joshua Tree National Park. Jumbo Rocks gets crowded fast, so be sure to grab a spot early, especially if you’ve got the kids with you! Campsites are first come, first served at White Tank. RVs and trailers cannot exceed a maximum length of 25 feet at this remote spot. There is no available water, so make sure you bring in plenty. 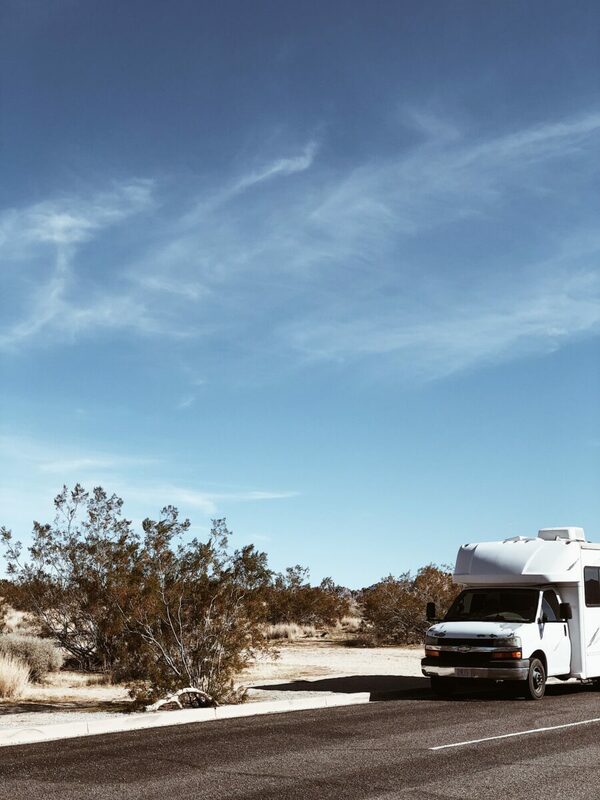 Think of this spot as your go-to boondocking option in Joshua Tree National Park. Major perk – this site has unparalleled stargazing viewing. Don’t let the short distance fool you. 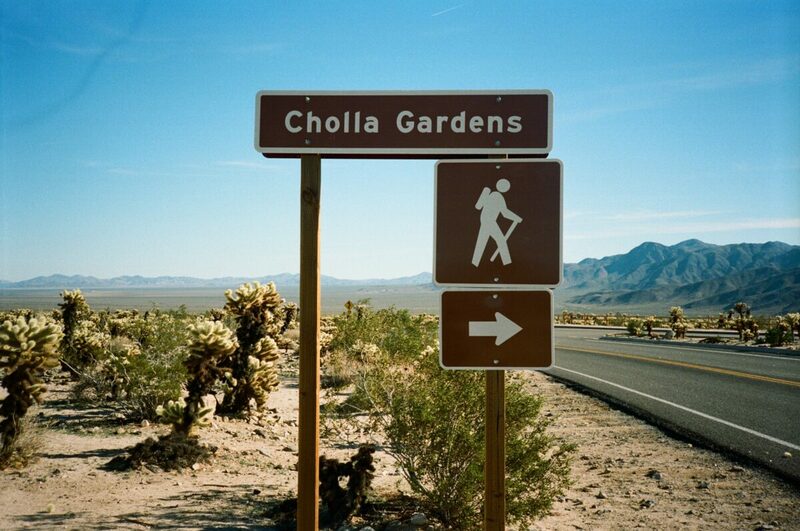 Cholla Cactus Garden is the most iconic and in our opinion, stunning attraction in the entire national park. The prickly Cholla Cactus line the garden for miles and miles, with the Hexie Mountains as their backdrop. Stay on trail and wear close toed shoes! This loop explores ridges and washes west of Black Rock. Enjoy this moderate hike in cooler temperatures and with a hiking buddy! 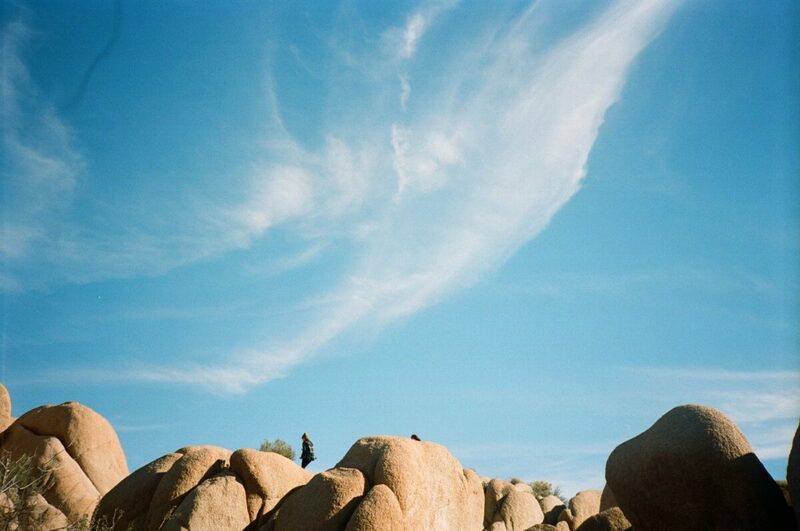 This easy hike is ideal for exploring boulders, desert washes and the trails namesake attraction, the Skull Rock. We suggest you take lots of photos. 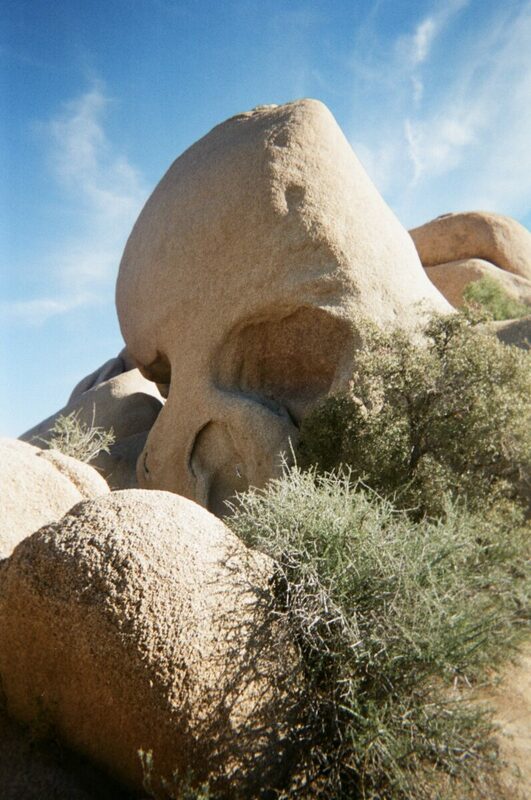 Skull Rock is a unique natural formation that you won’t see anywhere else. Looking for more information on this desert town in Southern California? 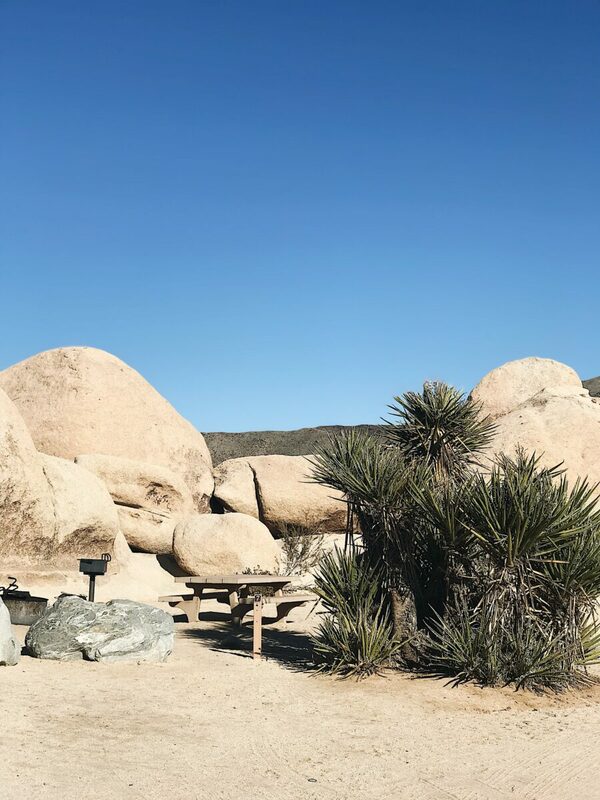 Check out our guide to Eating Your Way through Joshua Tree and be sure to let us know which is your favorite stop in the comment section below! 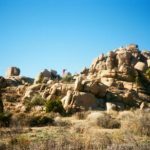 Hey Buddy!, I found this information for you: "The Ultimate Road Trip Guide to Joshua Tree Part II". 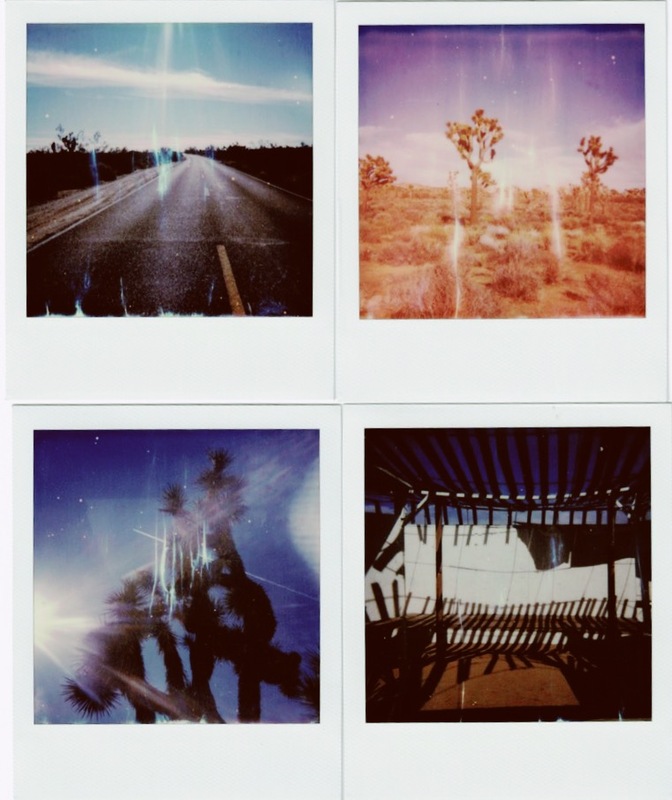 Here is the website link: https://experiencelife.lamesarv.com/2019/02/the-ultimate-road-trip-guide-to-joshua-tree-part-ii/. Thank you.